Mobile phones and small recording devices might work for capturing a meeting or deposition outside of the office or courtroom, but when you are working in a large space for official meetings and hearings an installed audio/video recording system is more efficient and effective for capturing a complete and verbatim record. When your AV recording system is installed in your meeting room or courtroom, there is no need to set up recording equipment before each meeting or proceeding. With an installed solution, your microphones and cameras are in their correct places and positions at all times. This means, that when you are ready to begin recording, you or the assigned employee would press the record button on the software or recorder, to begin capturing the session. There is no need to remove the equipment at the end of the day, either. Simply press stop and the recordings will be ready for storing, managing, or reviewing from your recorder or software interface. Installed AV recording solutions can be designed to automatically test the system to ensure that it is ready to record. If any errors occur in the system, it can notify you immediately so that the issues can quickly be resolved and proceedings are recorded without delay. For example, JAVS FlexMics come equipped with LED Light Indicators that will flash red to indicate that an error has been detected in the system. If you’re utilizing a desk recorder or cassette recorder, you may not be able to easily know if the system is experiencing problems or if there are errors in the recording. Often, these errors are not identified until the record is being reviewed and the audible errors or distorted images are heard and seen. 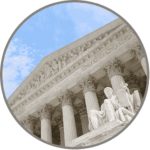 AV recording solutions that are installed throughout your courtroom or meeting room will automatically save and store your recordings to a secured software database or hardware recorder. This allows recordings to be reviewed immediately, easily published to the media or public, and edited with quick notes or log notes. When utilizing cassette recorders or VHS/DVD recorders, you will have a piece of hardware for each recording or each day of proceedings that then need to be transferred to your database and/or stored in a safe locker or room. Localized AV solutions are specifically designed to capture audio and video records in a meeting room or courtroom. They are designed and engineered by experts in their fields to capture a clear and verbatim record of meetings and proceedings. These microphones can be created with special technologies that discern any background noises like air conditioning units, construction, or even someone coughing in the back of the room. Having this technology ensures that only the spoken word is clearly captured and that the record is easy to hear on playback. 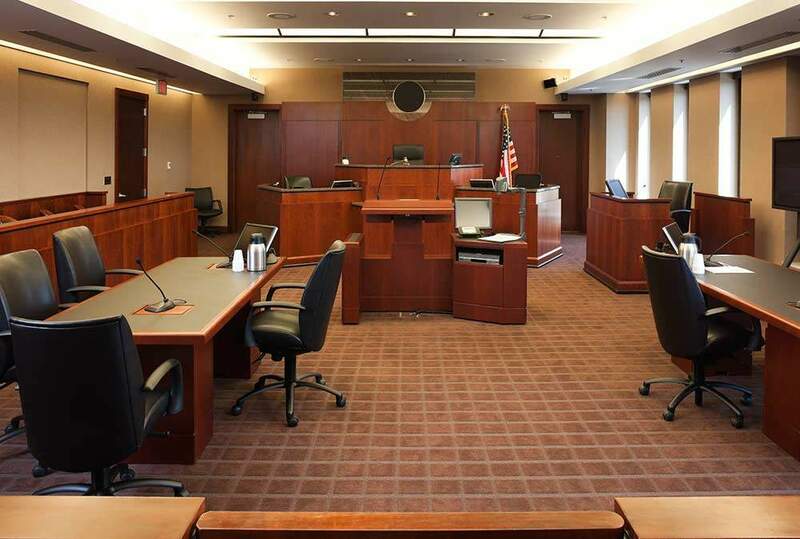 Installed AV solutions are tailored to fit the exact needs of your courtroom or meeting room. This includes the number of microphones or cameras that are needed to capture each participant clearly and their placement throughout the room. You do not have to move the microphones or cassette recorders around the room to ensure every voice is properly captured, there is no need to ask people to increase their volume or change their tone of speech; installed systems are designed to work perfectly in your room on every occasion. Want to learn more about how an installed recording solution can benefit you or request a complimentary technology consultation? Click here.